With the developed world still heavily reliant on Middle East oil for its energy needs, the recent tensions in the region have raised anxieties about the security of the oil supply to fever pitch. In particular, recent military conflicts in Syria, Libya, and Egypt have ratcheted up the tensions that surround this issue. While these countries combined only account for 2% of the global output of crude oil, fears that these conflicts could spill over into major oil-producing nations such as Iran and Saudi Arabia have sent the oil price soaring. From a forex trader’s perspective, any large movement in the oil price will have a massive knock-on effect on the currency markets. In particular, currencies that have a high correlation with the price of oil, such as the Canadian dollar, would be affected dramatically by any rapid rise in the oil price. A rapid appreciation in the currency of one of the USA’s major trading partners, coupled with the wider economic impact of energy price rises, could exert a strong downwards force on the dollar, which being the world’s most traded currency, and also the most widely used reserve currency, would have a dramatic effect on the entire forex market, and the global economy as a whole. Of all the crisis-hit nations, Libya is the country that has caused the biggest problems, with oil production dropping from 1.4 million barrels per day in March 2013 to just 200,000 due to port strikes and pipeline shutdowns. 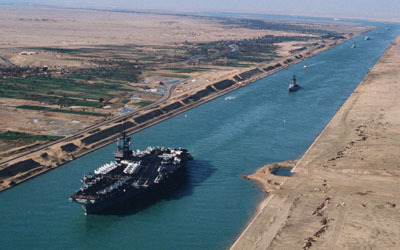 Another major concern is that the civil war in Egypt could affect the transportation of oil via the Suez canal, which is the main thoroughfare for oil shipments between Europe and Asia. Without the Suez canal, oil tankers would have to travel an estimated 2,700 extra miles to go between Saudi Arabia and the United States, increasing transport costs significantly. Although a major blockage seems unlikely at the current time, the risk is still significant enough to drive up oil prices. While recent tensions have pushed up the oil price significantly, this has been tempered somewhat by the increase in US oil production over the past year, which has seen the US importing less oil and producing a correspondingly larger amount. 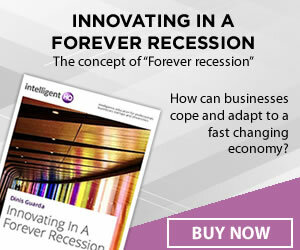 Many analysts, including Saxo Bank’s Ole Hansen, feel that this should prevent the oil price from getting completely out of control, although this could still happen in the event of a crisis-causing issue such as a blockade of the Suez or a war in Saudi Arabia. In the past twelve months, US oil production has increased by approximately two million barrels a day, mitigating market fears that geopolitical tensions could send the oil price through the roof. Nonetheless, money managers are continuing to extend their long crude oil positions, with President Obama’s refusal of the Keystone XL Pipeline project increasing US dependency on oil from the Middle East. Great article, and I couldn’t agree more. It’s ridiculous that the global economy is still so dependent on a limited, polluting resource in 2013 – but the fact is that a massive oil price surge would create economic chaos, political instability, and maybe even war at the current time. All of which are very good reasons to reduce our dependency as quickly as possible!